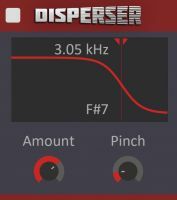 Disperser is a phase rotator that uses all-pass filters to add different delay to different frequencies. This makes for novel sounds and is of great value to any sound designer. 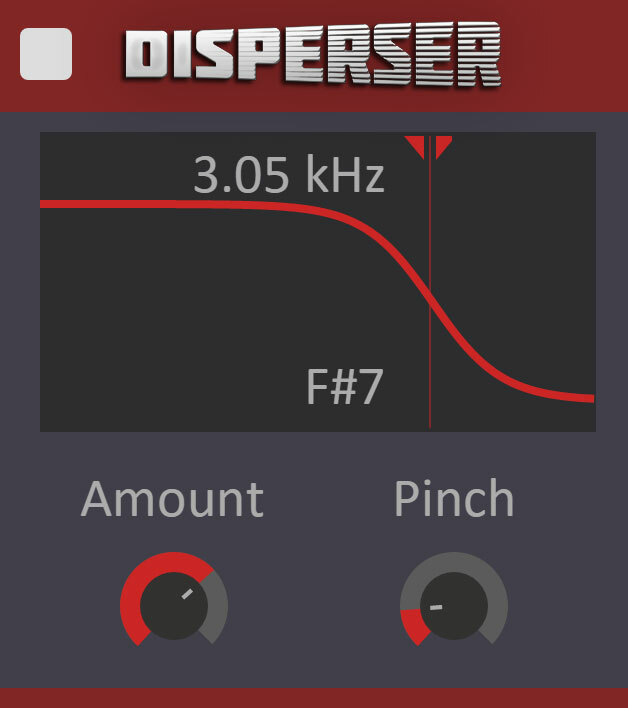 Disperser can be used as a transient shaper, smearing the frequencies of sharp transients over time. It can also give a nice "flavor" to punchy basslines. Another useful feature of the Disperser is that it can decrease the "crest factor" of a signal, meaning that it will lower the peaks but keep the perceived volume the same. In essence giving you more headroom for free. The user interface is exceptionally easy to use with only three controls that gives the sound designer maximum control of the output. Not to mention it looks absolutely stunning. Disperser also works as a 'snapin' in the Kilohearts Snapin Host plugins like Multipass and Snap Heap. Disperser is also available as a Rack Extension for Reason over at the Propellehead Shop. A Little odd thing ..that ads a bit of "I don't know what to call it" but it's sounds great. I used it on vocals which probably is not the first thing one think of using it on. Makes them sound somewhat slightly synthetic. I give it a 10 because it does exactly what it sets out to do, even though in a very narrow field.